I am currently just outside Chester attending the afPE conference “Hitting the targets missing the point”. I am attending both as a delegate and a presenter. Happy to report that our workshop went well. I was presenting as part of a team from Glasgow University and the work they are doing with the PG Primary PE course. My input centred on what is happening nationally with PE in Scotland in terms of Curriculum for Excellence and the opportunities this presents to educators. Secondly how Glow can facilitate CPD, collaboration, sharing practice, learning and debate between educators. Providing a portal for teachers who have completed the PG Primary PE course to continue their engagement and professional reflection. It was also great to meet Brian Greg who was also part of the presenting team. I have exchanged emails and Blog comments with but not actually met him in person. Brian has recently been appointed as the Head Teacher at Muck school. It was interesting talking to Brian who like myself has a healthy interest in both PE and ICT. He is really excited about the potential for using Glow but has some interesting challenges to deal with. The satellite broadband connection for one which affords little more speed and bandwidth than a dial up connection. The intermittent power to the Island 5 hours of electricity per day. All of which leads to a rather frustrating Glow experience for him. However undeterred he has started a new blog from Muck which he has at times had to save posts on a flash drive and post to his friend on the mainland to upload as it would take too long to upload from the island. Tom Wylie’s former Chief Executive of the National Youth Agency from 1996 and retired in August 2007 keynote raised some interesting points and questions. 60% of Children are doing well at school 40% are not doing so well. That 40% can be further subdivided into the disappointed (getting by but not enjoying it), the disaffected and the disappeared (getting nowhere). Very few young people do not learn a skill for its own sake they learn a skill because it will take them somewhere. This comes from their perception of their identity how they see themselves and where they are heading. Learning has to connect with the real world as young people want to be viewed as adults they want to engage in the real world. Averaged out young people spend only “9 minutes” of every waking hour at school. What do we know about what they are doing off campus the other “51 minutes”. What do we know about the informal learning world beyond the school and how can we engage with it? We don’t deliver a curriculum that conveys a prepackaged off the shelf inflexible model. We should develop the curriculum in partnership with the learners so it best meets their needs. Margaret Talbot Chief Executive of afPE delivered her keynote “Physical education: exercising the entitlement” after a slight delay. One of my colleagues who shall remain nameless (as Margaret is not a woman you want to upset!) accidentally lifted Margaret’s presentation notes whilst retrieving her own from our workshop. As usual Margaret was not backward at coming forward and voicing her concerns about what is happening around PE and sport in England. One of her points that strikes particular resonance with me is the issue of measuring the time allocated to PE but not actually measuring the quality of that PE. I have raised this before in relation to Scotland what is the point in meeting the target if what you are offering is not high quality. Read more about the Glasgow Developmental PE programme case study on the LTS PE Website. After my presentation I attended a couple of sessions led by Neil Melville which were excellent the first was about sharing analyser projects and the second was about using the measurement and data tools. You can learn more about using the measurement tools and data tables in this online tutorial. 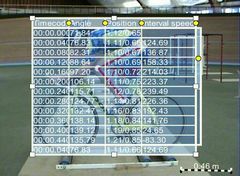 There are some more online tutorials on some of the other Dartfish features available here. My second presentation was all about extending learning beyond the classroom through the use of online spaces and tools. I promised the delegates that they would not have to take any notes (other than the address of this blog) as I would write about my presentation and post links to everything I made reference to through the blog. I deliberately set out not to use a PowerPoint presentation as I wanted to demonstrate that you can deliver your content through other vehicles. I also wanted the delegates to return to my blog to experience for themselves what I was trying to get across i.e. you can extend the learning and the engagement with your learners beyond the restrictions of the actual lesson/presentation. By coming back to the blog the delegates have the opportunity to: read this post and reflect, click on the links to learn more and do further research or post comments to me thus extending the impact of the conference and this is exactly what our pupils doing in a number of schools. If you are a conference delegate welcome back if not read on anyway you might find something that engages you. I was conscious that my workshop had a slant towards PE and not every delegate was from a PE or sports background, but all that I talked to could be replicated for any subject. I started by visiting the Learning and Teaching Scotland PE website and directed the group towards this case study about using blogs and wikis as there are links to videos and tutorials on how to set up a blog and information about wikis. I then introduced the wonderful free web tool delicious to create online book marks for sites that you find interesting and useful it can then be accessed from any computer with an Internet connection. For a simple guide watch the video below (You probably will be unable to view the video in school as it is hosted on YouTube). You may find my PE bookmarks useful. You may want to consider setting this up for your course or in a department to tag interesting sites or share frequently visited sites with pupils and or staff. This can be accessed from any computer with an Internet connection. I moved on to talk about Blogs for those of you who want to know a bit more about blogging I previously posted this video explaining bloggin g in simple terms . If you want to give blogging a go check out this set of tutorials for using wordpress the provider I use for this blog. If you look on the “links” section on the left hand side near the top of the page I have links to several PE blogs that you may find interesting. The next part of the presentation focused on wikis the following video (also on YouTube) will help you understand a little more about what a wiki is. I used the Banchory H/Int2 wiki and explained that the content was there for people to download and use and share as long as they were willing to reciprocate and acknowledge the source. Yet again I was trying to demonstrate how we can use an online tool to extend the learning experience and provide additional support. Wikis can also offer real scope for collaboration between teachers for resource development and between teachers and pupils for learning. I explained that teachers can sign up for free wikis that are advert free at wikispaces. Wikispaces also has video tutorials to help get you started within their help section. When I was discussing the wikis I highlighted using Youtube to incorporate inspirational and interesting videos. There is actually a lot of very good content on Youtube and other video hosting sites such as google video. We use the videos as a hook for the pupils and also to make the wiki more attractive and lastly to engage the children though adopting a piece of their own culture. Our pupils are creating their own environments outside school with video, audio text and many other applications in sites such as bebo and myspace and facebook and we want our wiki to reflect some of that cool. I also demonstrated Youtube annotation showing how value can be added to your you tube videos. This is the direction that Dartfish are moving through the Dartfish Moves platform where you can upload and annotate videos. I was gutted that I had to leave early and could not see the presentation on Datfish moves. Something else for you to check out is the Dartfish channel on YouTube. I punctuated my first presentation in the morning with videos I had saved to my computer from YouTube using Zamzar. This is a very useful tool as most schools block video sharing sites or you may want to play a video on a laptop in an area with no access to an Internet connection. This article form Wired explains explains some other ways of saving videos to your computer. I like Zamzar as you can save videos to your computer in different formats and you can convert videos to different formats, it can also be used to convert many different types of files and documents from one type to another. I hope you find this a useful summary of the day and i hope it continues your learning beyond my presentation. Please feel free to post comments about the day or ask further questions for clarification. The latest edition of Connected Magazine has been enhanced with some wonderful photos of a particularly good looking PE teacher and not a bad article about using ICT to enhance PE. Article talks about Dartfish Blogs and Wikis and a few other interesting developments. Yeah I know shameless self publicity!! Sprint Your Way to a Better Volcabulary: Quick Learners!! Certainly gives me a new understanding of the term “quick learner”. Maybe that’s where I have been going wrong trying to learn some French for my upcoming trip to Switzerland this summer. Those clever people at Common Craft have done it again with another video this time explaining social media in plain English. You can now download all of their videos from the Common Craft Store. Here is a nifty little free mind mapping tool text 2 mindmap. Its really simple to use it takes a structured list of words or sentences, interprets it, and draws a mind map of them. You can drag the nodes around to alter the layout of the mind map and you can alter the text size and colour and the colour of the lines. When you are happy you can download the mindmap as a jpeg. 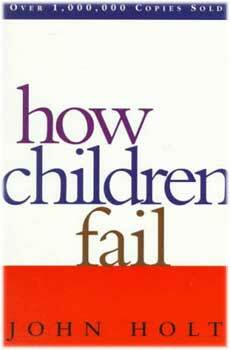 I have recently been reading John Holt How children Fail and would recommend it as an essential read. The book was first published in the sixties but many of Holt’s central messages and thoughts are just as relevant today. Holt suggests that fear of failure, fear of humiliation, fear of disapproval severely affects a child’s capacity for real learning. Rewards such as grades and gold stars reinforce children’s fears of failing exams and receiving disapproval from the adults in their lives. Rather than learning the actual content of the lessons, children learn how to avoid embarrassment. This atmosphere of fear not only stifles a love of learning and suppresses curiosity, but it also makes children afraid of taking chances and risks which may be necessary for true learning. This fear drives children to develop various strategies such as mumbling, acting like they don’t understand or acting overly enthusiastic so they won’t be called upon to answer to avoid being humiliated in front of their peers. This central message hit me with a bang this week when a conversation with my 5 year old daughter about her school revealed that she already has a marked fear of failing. We were chatting about what she enjoyed at school. This obviously moved to what she didn’t like and why. During this part of our chat she burst in to tears and got very upset. The cause of her distress; getting things wrong. In her mind this was terrible “it was bad to make mistakes”. This was quite upsetting for me as my daughter seems to be doing reasonably well at school, she really seems to enjoy her reading and learning new words, she also seems to be making good progress with her numeracy skills as well and she is a very sociable child. However how much of her progress is motivated by the fear of getting it wrong rather than the joy of learning. I spent the rest of the conversation reassuring her that it is perfectly acceptable to get things wrong as we learn from making mistakes. I also suggested that people who make mistakes are very brave as they are trying to do something that is new and they haven’t mastered yet. It set me to thinking have I been responsible for developing this fear in my daughter. I hope not I have always tried to be as supportive and non judgemental with her as possible but I may have done it subconsciously. This then set me thinking if I am unaware of it how often have I reinforced this message within my own teaching? I truly hope I have not, but one thing is for sure I am now more aware of the whole issue and the impact it can have on learning and is something I will consider as part of my future teaching.